‚Save the Children‘ is an initiative of individual Christians in Vienna/Austria from different Churches and Christian organisations. We are deeply concerned about the violations of Human Rights and Children’s Rights in Norway. Since we’re familiar with several cases where Children were removed from their families for no good reasons, we now want to address these issues publicly. 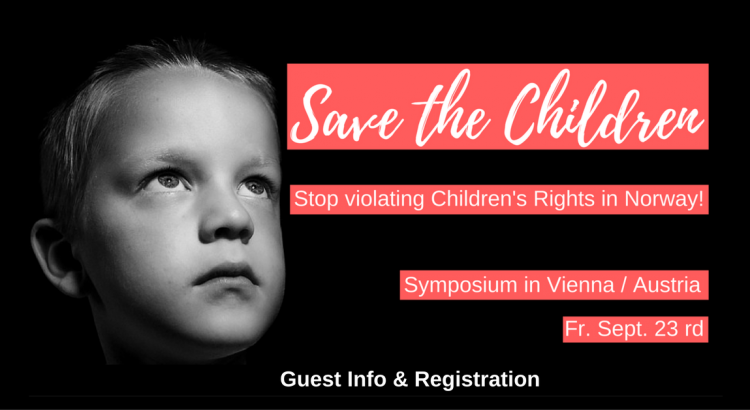 The Symposium is hosted by: „Initiative ‚Save the Childen‘ – Gegen Kinderrechtsverletzungen in Europa“. We wish to thank ERF Medien Österreich for the kind technical support.